After wildfires caused power outages in California, the tinder box state is considering more microgrids in a proceeding before state regulators. 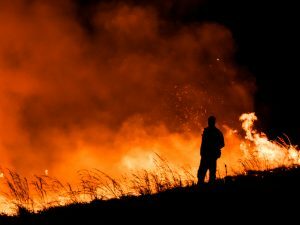 “Wildfires are now to California what Sandy was to New York,” said Rick Bolton, CEO of Compass Energy Platform, referencing the 2012 superstorm that spurred a government push for microgrids after eight million people in the Northeast lost power, some for weeks. During wildfire season in California, power outages come about both accidentally and intentionally. Sometimes lines and equipment get destroyed in the flames; other times they appear to cause the fires. And in still other cases, utilities shut off power to avoid danger when conditions become ominous. The fire may be many miles away from the customers who lose power. In the proceeding before the Calfornia Public Utilities Commission (R.18-10-007), several parties recommend microgrids as a way to keep electricity flowing locally when fires — or the threat of them — lead to service loss. Pacific Gas & Electric (PG&E), which serves a 70,000 square-mile swath of the state, contemplates microgrids as part of resilience zones, areas with grocery stores, gas stations and other critical services. The microgrids would keep the zones energized when the grid is down. One example is Angwin, a town in Napa County, where the utility is working with Pacific Union College to incorporate its cogeneration plant into the zone. During dangerous conditions, the utility hopes to safely energize a fire station, gas station, apartment building and a plaza. 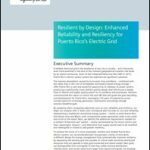 Small Business Utility Advocates (SBUA) called for all utilities to follow PG&E’s lead and include microgrids as part of their now required fire mitigation plans. The group wants small businesses included in microgrid service. Power outages jeopardize “health and safety” and sometimes local businesses are the only suppliers of goods and services in the area, argued the SBUA in a recent filing. “At a minimum, these programs should reach out to hard-to-reach commercial customers,” the small business group said. 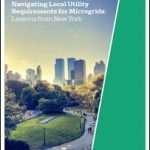 Community choice aggregations also are looking to develop microgrids in fire planning. Also known as municipal aggregations, CCAs are run by local governments that procure power on behalf of their citizens and businesses, while continuing to use the local utilities transmission and distribution lines. Utilities tend to rely on diesel-fed mobile generators for emergency service. But CCAs are demonstrating that “low- or no-carbon alternatives to mobile generation sources, such as microgrids and associated storage, are just as reliable, feasible, and cost-effective in many circumstances, and also provide a long-term solution,” said a joint filing by solar energy company Sunrun and Peninsula Clean Energy Authority (PCE), a CCA in San Mateo County. The aggregation has funded a pilot project to install small solar and storage projects at local faith organizations to support resilience locations within neighborhoods. In addition PCE is working in partnership with another CCA, East Bay Community Energy in Alameda County, to identify resilience locations in each of their territories. That project is funded by the Bay Area Air Quality Management District. Another CCA, Redwood Coast Energy Authority in Humboldt County, is developing a microgrid to improve resilience with less diesel-fired back-up generation. PCE expects last year’s passage of SB 1339 to spur more microgrids by making clear that “customer development of microgrids is a legislative priority.” The new law requires state regulators to consider a tariff or other mechanism to support microgrid development. If the regulator can can call the legislator to reason around this simple solution, imagine how much assets, lives & tax contributions will be saved if solutions are based on the installation of these “clean power” sources as opposed to fossil-fuel derivatives. BiG Up to you Elisa, for this essential topic!